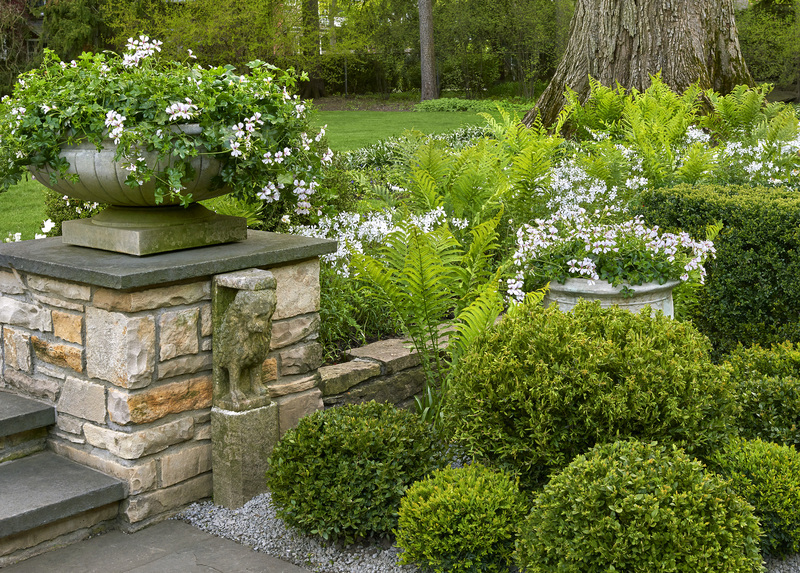 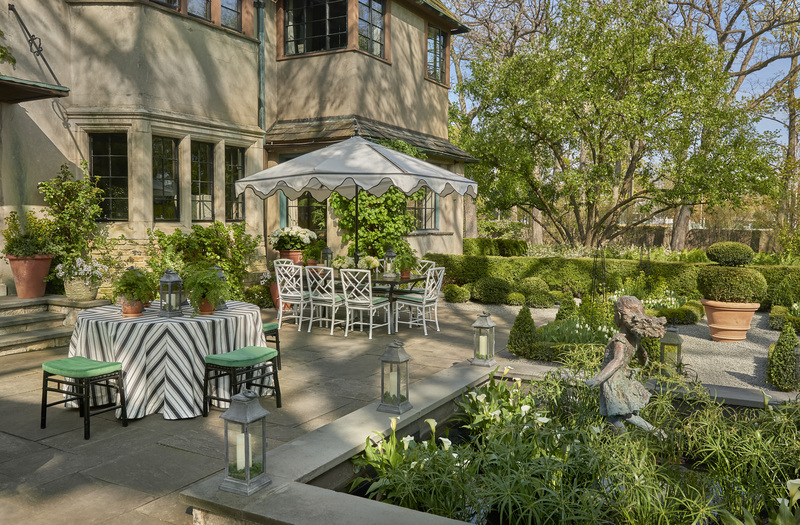 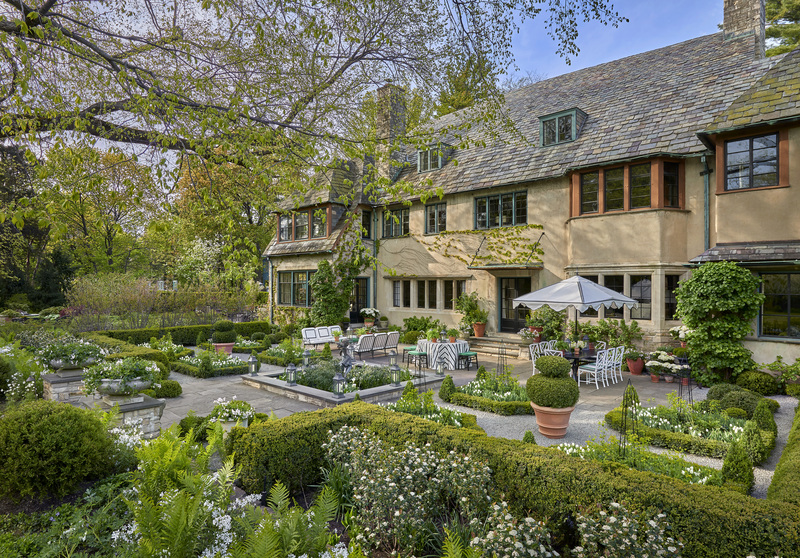 This whimsical outdoor space was transformed for the Lake Forest Showhouse & Gardens. 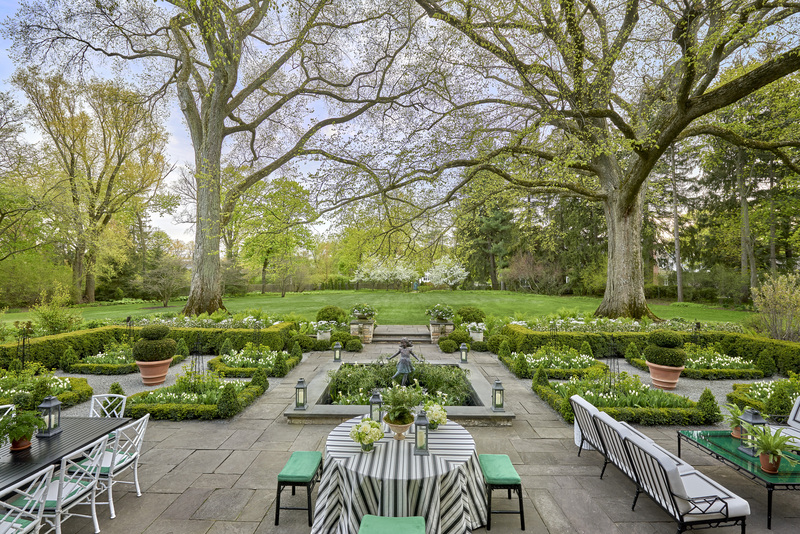 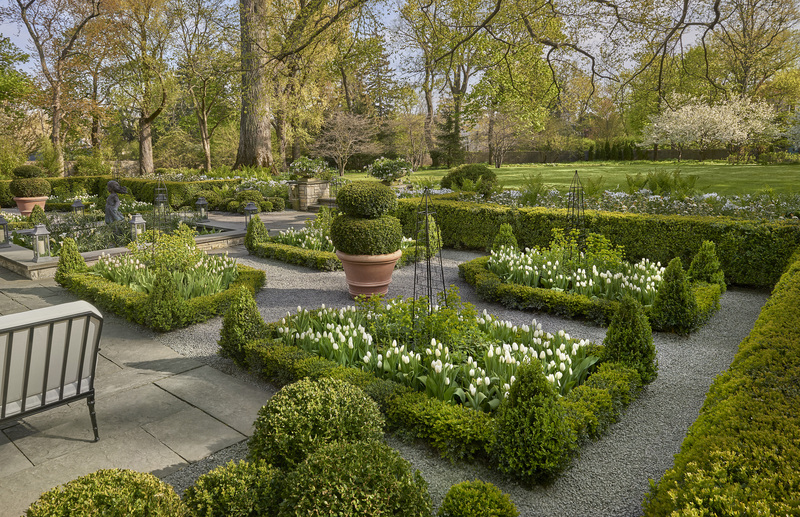 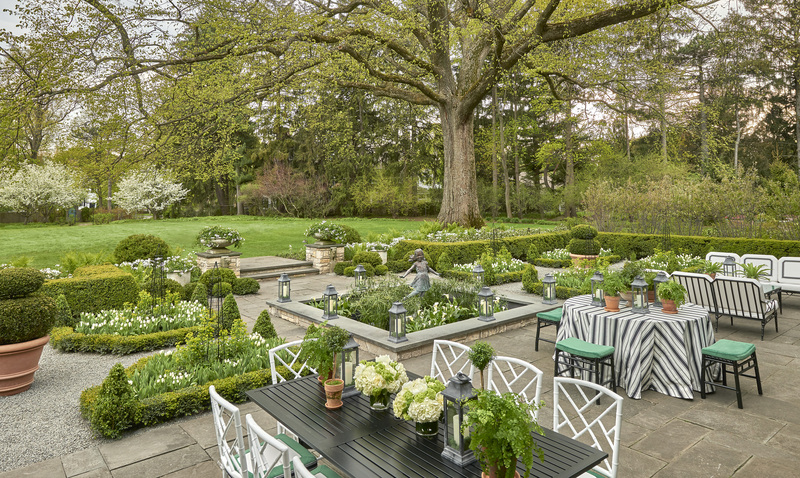 Design Principal Carrie Woleben-Meade juxtaposed the cottage-style home with a symmetrical layout of boxwood hedges dotted with white hydrangeas and layers of green. 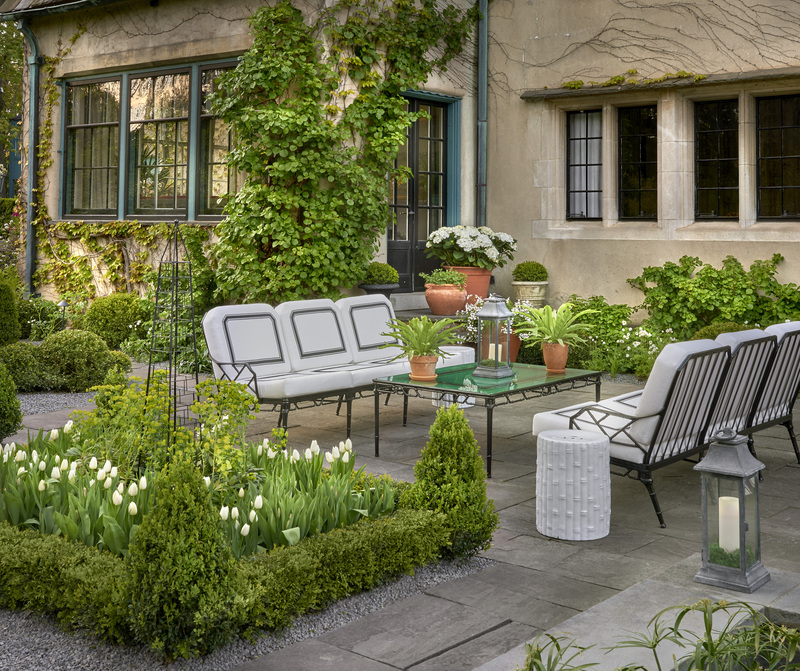 “The inside has a lot of bold colors, so I wanted to quiet it down and create a relaxing space,” Says the architect of the simple black, white and green color palette.